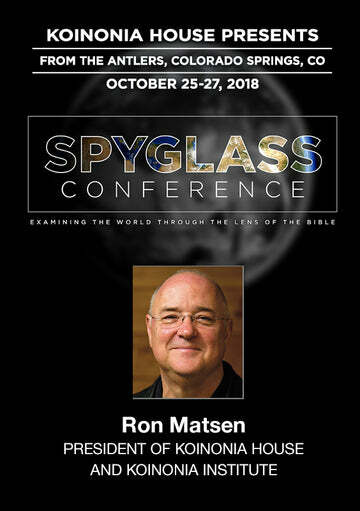 If our purpose as Christians is to reflect Christ, how does this visibly play out? We’ve talked in previous articles about the continual war that goes on in Christians between the power of God in our hearts and the power of sin that resides in our souls. Let’s see if we can paint a visible picture of just what this looks like. What does a spiritual Christian look like when walking by the Spirit and what does a carnal Christian look like when following the flesh? 1) It was the only Temple in which all the detailed plans-not only of the construction of the Temple, but also of all the furniture-were given to David by the Spirit of God. Listen to what 1 Chronicles 28:11-12 has to say: Then David gave to Solomon his son the pattern of the porch, and of its houses thereof, and of the treasuries thereof, and of the upper chambers thereof, and of the inner parlours thereof, and of the place of the mercy seat; and the pattern of all that he had by the Spirit, of the courts of the house of the Lord, and all the chambers round about, of the treasuries of the house of God, and of the treasuries of the dedicated things. Pattern in the Hebrew means a copy of the original; a miniature model. No other Temple could boast of this supernatural design. 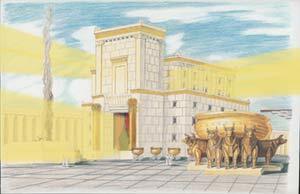 2) The second reason Solomon’s Temple was special is because it was the only temple in which the Ark of the Covenant rested. 3) And finally, it was the only temple in which the Shekinah Glory (God’s Spirit) dwelt for 400 years, until the temple was actually destroyed. The whole purpose of Solomon’s Temple was to glorify God. We don’t have time here to go into great detail about this temple, however, I want to cover a couple of important points that will help give us a visual picture not only of the temple itself, but also of ourselves and how we are to personally glorify God. For 400 years, Solomon’s Temple stood on the top of Mount Moriah with the Shekinah Glory (the sign of God’s presence) emanating out from every portal. It was said that the windows in the sanctuary were constructed so that they were wider on the inside and narrower on the outside, in order to capture the supernatural Light and funnel it outward. Can you imagine what it must have been like to look up from Jerusalem and see God’s supernatural Glory exuding from every temple window and doorway. It reminds me of 1 Kings 8:10-11, which speaks of the priests not being able to minister in the temple because the glory of the Lord had so filled the house. 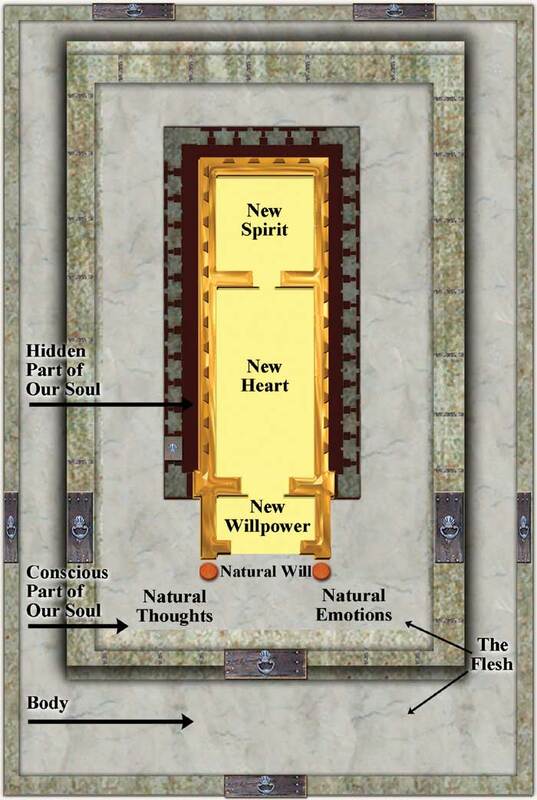 CHART 2: This is a picture of the floorplan of Solomon’s Temple. Again, with the Shekinah Glory shining forth (right). 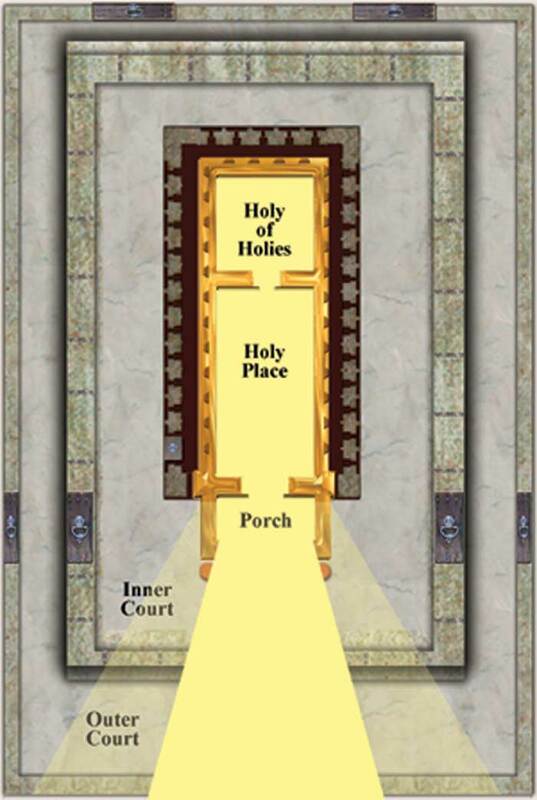 In the floorplan, you can see how God’s Spirit emanated out from the Holy of Holies where He dwelt, radiated through the Holy Place and Porch of the sanctuary, past the two bronze pillars to the Inner Court and then, outward to the Outer Court. The New Testament tells us that God’s Spirit now dwells in “temples made without hands.” Namely us! Several times the New Testament declares that we, as believers, are a temple of God and that the Lord wants to glorify Himself through us, just as He did through Solomon’s Temple. And, finally 2 Corinthians 6:16, “For ye are the temple of the living God; as God hath said, I will dwell in them, and walk in them; and I will be their God, and they shall be My people.”1 Jesus even refers in Mark 14:58 to His own Body as a temple. The Bible is making an analogy or a comparison in these Scriptures by saying that as Christians our body is a temple and that temple is now the dwelling place of His Spirit. So, let’s take a look at Solomon’s Temple as a model or a blueprint of a New Testament believer. One who has the Spirit of God dwelling in him. Let’s check the actual floorplan out first, then we’ll come back and compare each of these rooms to our own spirit, heart and soul. 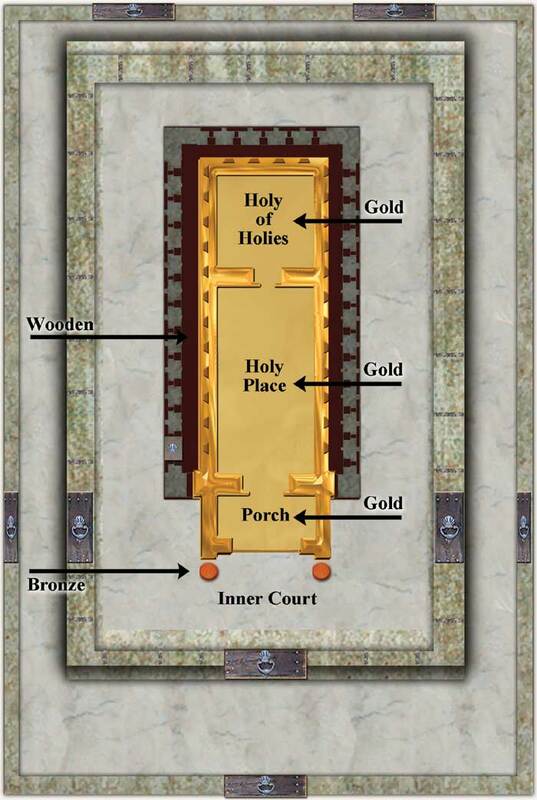 First, note that the three main rooms of the sanctuary-the Holy of Holies, the Holy Place and the Golden Vestibule (or Porch)-were all made of gold. Even the furniture in these three rooms was solid gold. This will become very important later. Just outside the Porch, note the change of metals from gold to bronze. Beginning with the two bronze Pillars, everything in the Inner Court-all the furniture-was bronze. The gold symbolizes purity and holiness. The wood symbolizes humanity, our human nature or the flesh. And, the bronze symbolizes judgment. In other words, sin is still present. Again, this will become significant later. Let’s now compare the different rooms of Solomon’s Temple to the various parts of our own makeup and see if there are any parallels. I believe the Holy of Holies represents a believer’s new spirit (pneuma); the Holy Place represents his new heart (kardia); the Porch or Golden Vestibule represents his new willpower or volition (dianoia). Remember, all three of these areas were fashioned in gold, meaning purity, holiness and spiritual cleanness. The Inner Court represents the conscious part of a man’s soul-his natural will, natural thoughts and natural emotions; the secret, hidden, wooden chambers around the main sanctuary represent the hidden part of a believer’s soul (cheder), the place where we store our hurts, doubts, and fears, thinking (like the priests) that because they are hidden no one will see; no one will know. This area was wooden, symbolizing the flesh. And the Inner Court was bronze, symbolizing that sin was present and needed to be dealt with. The Outer Court then represents a believer’s body. When we speak of the “flesh,” we mean both the soul (both the hidden part and the conscious part) and the body. To be continued next month, “A Visual Picture of the Problem.” This article has been excerpted in part from Nan’s new book Reflections of His Image: God’s Purpose for Your Life. 1. This statement that we “are the Temple of God” occurs seven times in the New Testa­ment: 1 Corinthians 3:9-16; 6:19; 2 Corinthians 6:16; Ephe­sians 2:20, 21; Hebrew 3:6; 1 Peter 2:5; 4:17.